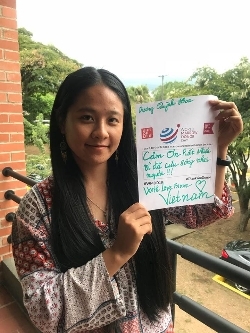 Gift of Life Marrow Registry and its fellow registries around the world celebrated marrow and stem cell donors on Saturday September 15, 2018, recognized as World Marrow Donor Day (WMDD). Established in 2015 by the World Marrow Donor Association (WMDA), this day honors the 31 million volunteers from 55 countries around the world who have become part of the international marrow registry. 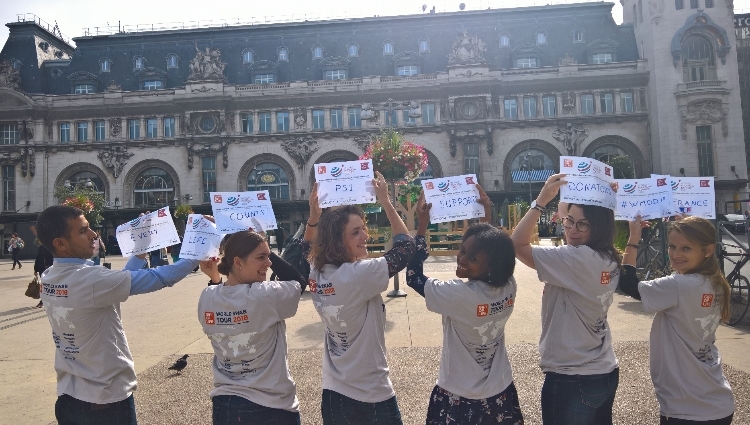 This year, Gift of Life held the World Swab Tour, a day of marrow donor swab drives with registries around the world through our partnership with PSI CRO, a global clinical research organization. 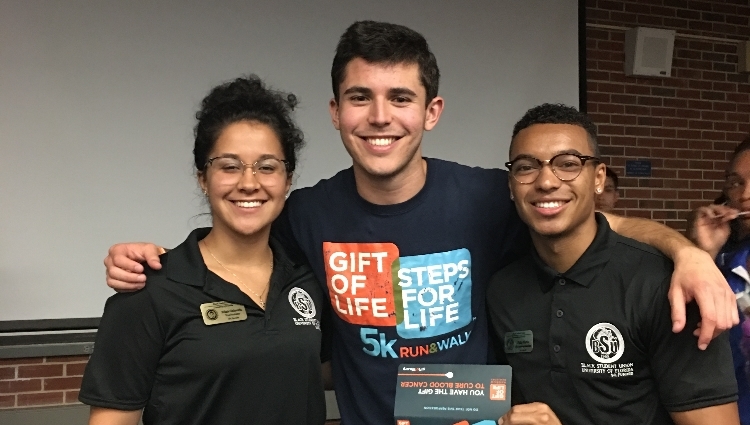 For the third year in a row, Gift of Life’s Campus Ambassadors held drives at nearly 100 universities across the United States, adding new marrow donors to the registry and raising awareness about the lifesaving potential of marrow and stem cell transplants. 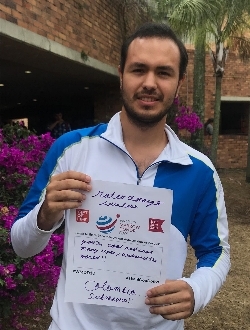 Dozens of World Merit members have also participated in World Marrow Donor Day for the past three years. This global community mobilizes millennials to make positive change in their local regions and around the world. To raise awareness about marrow donation, the WMDA issued a challenge to its members to celebrate the day with a creative cake. 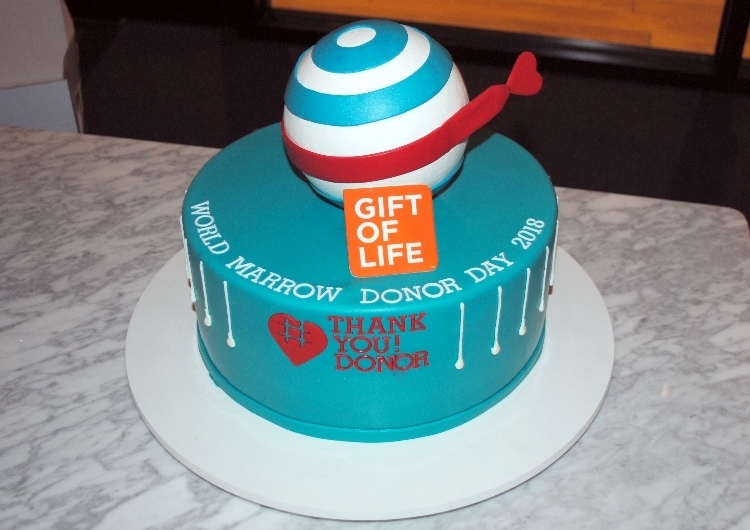 Gift of Life New York responded to the challenge by asking the TLC network’s one and only Cake Boss, Buddy Valastro of Carlo’s Bake Shop in New Jersey, to recreate the World Marrow Donor Day logo in 3D as a beautiful and edible homage to the day. 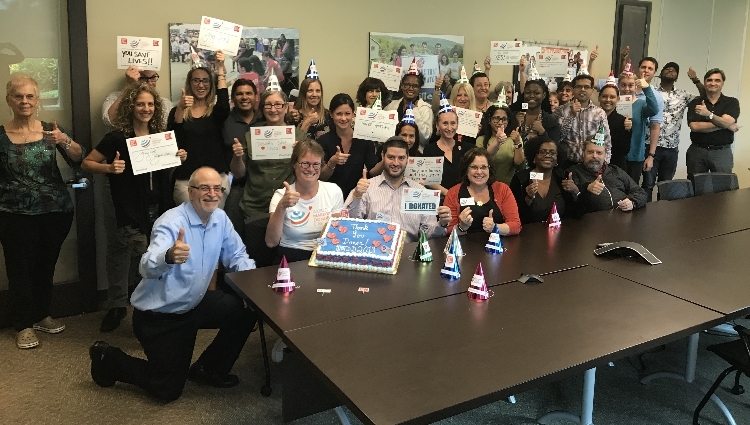 Not to be outdone, Gift of Life’s headquarters in Boca Raton had its own cake-sharing moment, as WMDA Executive Director Lydia Foeken visited the office and was welcomed by the entire staff. 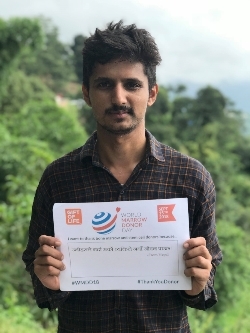 The high point of WMDD is always seeing the thousands of selfies and posts shared by both donors themselves, and those who take the time to offer them a Thank You. World Marrow Donor Day is celebrated the third Saturday each September as an international day of recognition and thanks to marrow and stem cell donors around the world.